In case you didn’t already know, I happen to be a big fan of shepherd’s pie and I’m always looking out for new and exciting ways to reinvent this classic dish. Between you and me, I’ve toyed around with the idea of a handheld portable version, that of which I’m still working on. The concept of eating shepherd’s pie on the go just sounds so appealing to me. One day I’ll get it right. If you’re looking for a more traditional shepherd’s pie however—and I use the term “traditional” loosely as I’m not an expert on this dish at all—then you might want to take a look at this Shepherd’s Pie, it was on the site a year or two ago, when I first started out. I guess, it’s more of a cottage pie since it’s made with ground beef and not lamb. For this one though, I decided to be more classic with the filling, so I did make it with lamb. I have to confess that I’ve always had a fear of cooking and eating lamb for some reason. Even now, I actually don’t eat it often. In fact, the only time I do is when I go to my all time favorite Indian restaurant. They make a spicy lamb curry that is to die for. Served over basmati rice and garlic naan for dipping, I could die happy then and there. But anyhow, like I was saying, that’s as far as my experience with lamb goes, so this is a nice step out of my comfort zone. I love how in cooking or baking—it’s the same with most things in life actually—we get into these comfort zones which become difficult for us to step out of. We end up making the same dishes over and over again, utilizing the same recipes again and again, because we’re used to them. Because we know they won’t turn out bad (for the most part). They’re reliable and safe. I’m all about feeling safe and reliable in the kitchen, which is why Taco Tuesdays and Pizza Fridays is a thing at my house. I sometimes have to remind myself that it’s okay to shake things up a bit and explore new ingredients and dishes from around the world. It’s perfectly acceptable to be adventurous when it comes to food. In fact, it’s necessary. 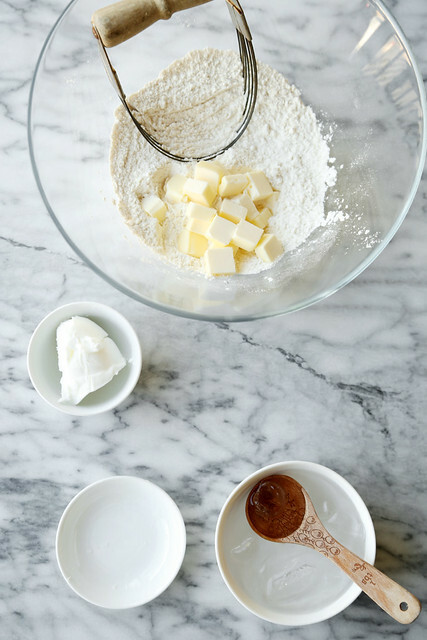 I sincerely believe that it makes you a better cook and/or baker and it expands your horizons. And that’s always nice. So what does this all have to do with a potato pie, you might ask? Well, it’s a freaking shepherd’s potato pie for crying out loud! I don’t think I need to say anything more, but I will. 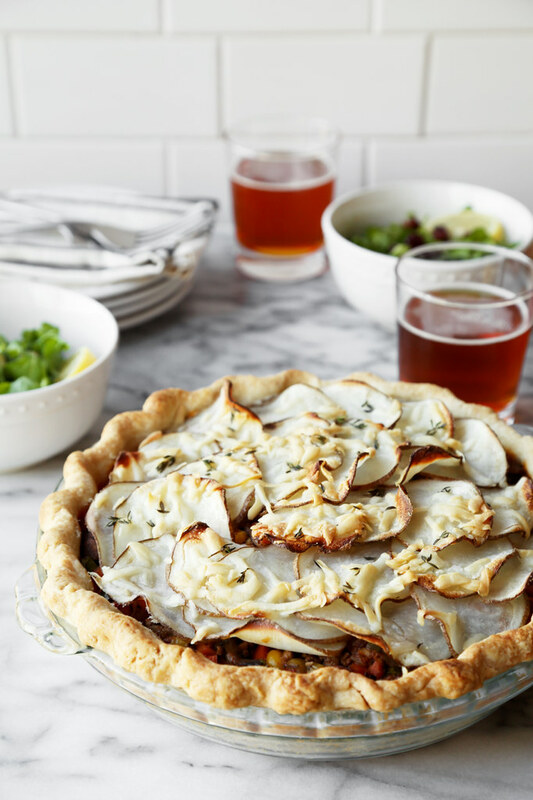 A flaky, buttery pie crust filled with lamb and veggies in a light gravy and topped with thinly sliced potatoes and sprinkled with cheese and fresh thyme. It’s a new take on one of my favorite dishes and it’s out there, right in front of your face looking to tempt you. 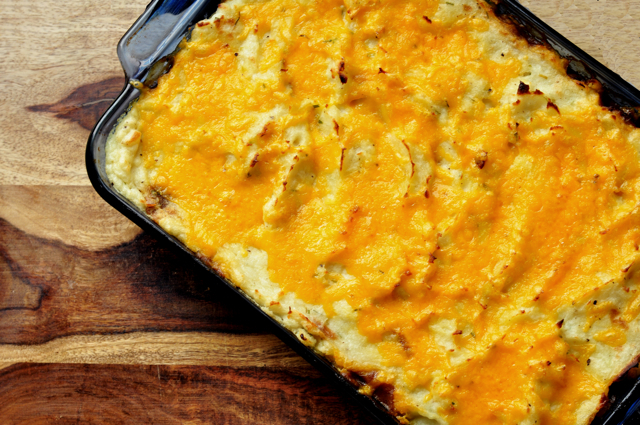 Looking to make you a shepherd’s pie believer. So won’t you just bite the bullet and make this pie along with me? I promise you won’t regret it. School is back in session. The kids are gone and you finally have some alone time. Joyful with the prospect of dropping off the kiddies at school, and not having to pick them up until after 3:00, you wake up each morning relieved and excited. Sure you love them to a million pieces, but coming from a full stint of a winter vacation, where the days were filled with countless games, trips, holiday rushes and headache causing screams; a vacation for yourself, is much needed. You embrace it, happily. But not too happily, lest someone thinks you a bad parent for finding relief in quiet solitude without your little rascals. And what will you do now with all this free time on your hands? I’m sure you’ll find ways to entertain yourself, and relax. Leisurely activities of lounging around. Coffee filled mornings, catching up on your stories. It isn’t so much that you need to find things to do, for there is always plenty to do around the house. Your relief comes from the idea that you have the house to yourself, and that although you have to do household chores, such as cleaning, grocery shopping and cooking, you do these tasks on your own time and at your own discretion with naps scattered in between. Simple tasks that you once dreaded, like grocery shopping and cooking, now become fun and joyous. You allow your creative and inventive juices to flow in the kitchen, and why? Because you don’t have to worry about what the kids are doing or fighting about in the other room. Or have to hurry and make a quick dinner because you’ve spent the day entertaining them. No. Now you have the full day to go to the market by yourself without the constant “Can I please have this please? Pretty please?” You can plan out a nice supper and actually take the time and effort to make a healthy, delicious and substantial meal for those you love. As different ideas and recipes come to mind, you start to struggle. The last thing you want to do is spend all your alone time, in the kitchen slaving away over a hot stove. In fact, you want to avoid a compartmentalized meal, with a main dish and multiple sides. Who has that kind of time? Suddenly the lightbulb over your head goes off. An all in one easy meal is the path you need to take. You’re sure of it. Preferably one that takes minimal work and less clean up in the end. Because of course, you have clean up duty as well. What is it going to be? Bingo, Shepherd’s Pie. Suddenly a smile takes over your face. And why does the prospect of this Irish dish cause you to smile and jump for joy, on the inside of course, on the inside? Because not only is it a one pot wonder meal, but it has the protein, the vegetable and the starch all rolled into one. Or should I say, all layered into one fantastic dish. You make the pie in no time, and with such an ease that would make other stay-at-home-parents jealous. The kitchen is all clean, and dinner is waiting to be heated and devoured by the troops. You step back admire your work and go into the living room. There you take a nap, a little afternoon siesta if you will. You nap like a baby. No, like a cat. Better yet, let’s make that a baby kitten. Yes, you nap like a baby kitten, because you’ve conquered a monumental task and although your free time has come to an end and you’re now parked outside of your children’s school waiting for them to enter the car, waiting for them to fill you in on the first day back at school, you take comfort in the fact that come tomorrow morning, you’ll be free again. Because the best part of them being in elementary school, is that they have to go five days a week. Just wait until college when they make their own schedules and don’t have to go to attend everyday, but you place that thought on the back burner, you still have a ways to go. In the meantime, you start the car and drive down the street toward home, with a smile on you face, the loves of your life in the rearview mirror, and a delicious Shepherd’s Pie waiting to be eaten.